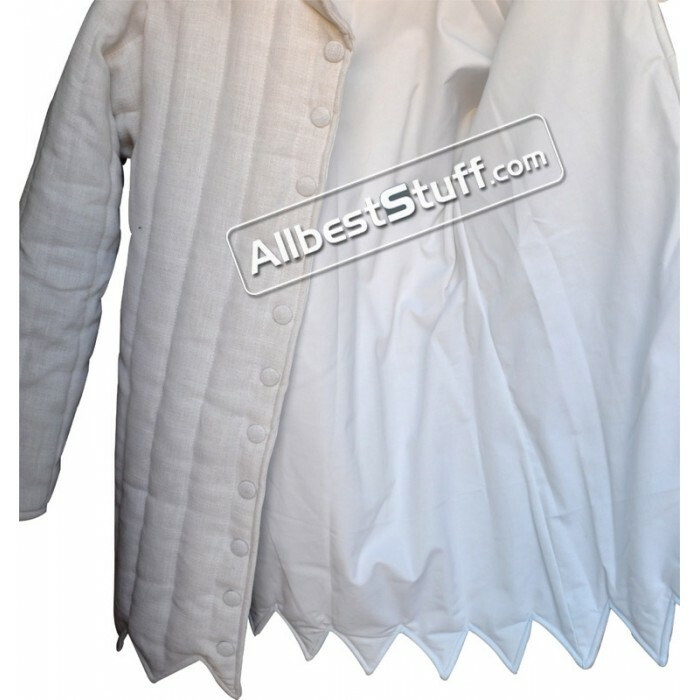 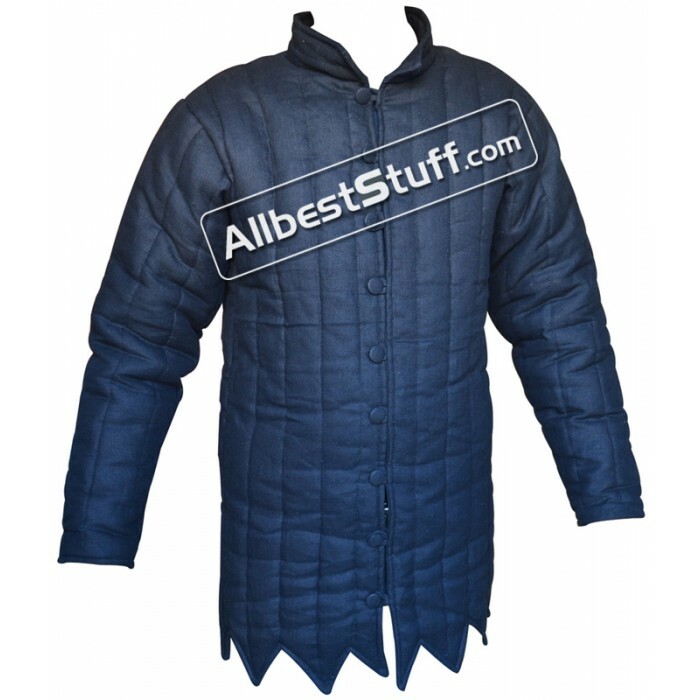 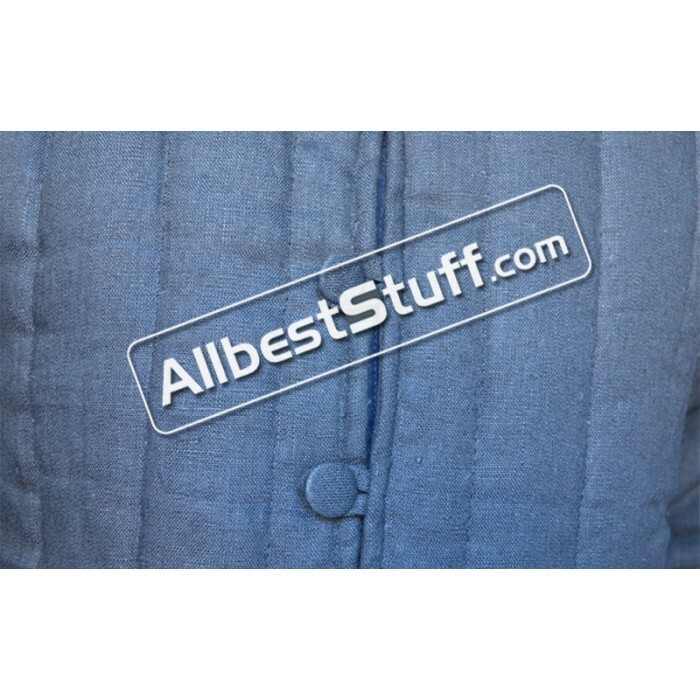 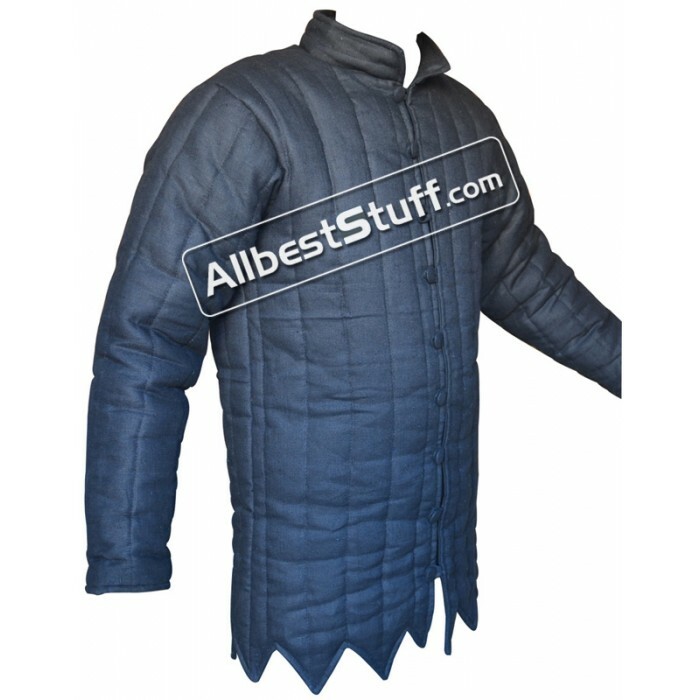 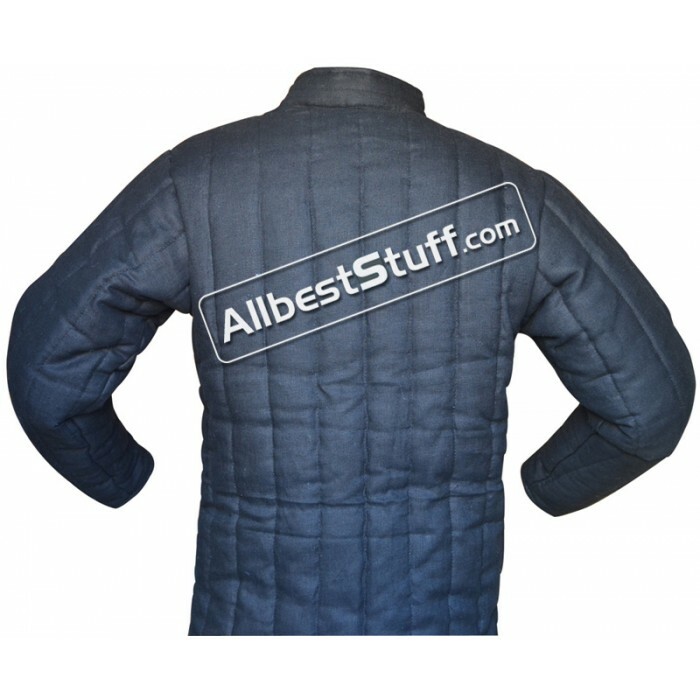 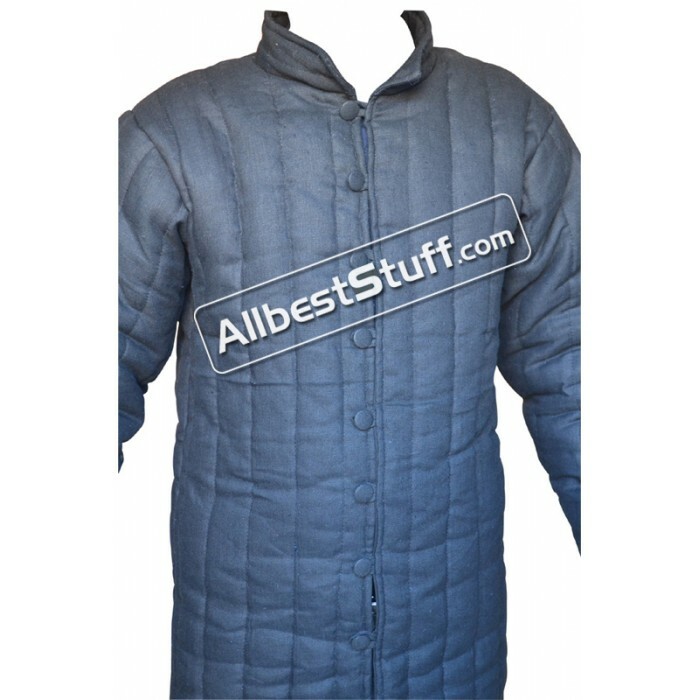 Medieval quilted linen gambeson was considered best choice for the late Viking age, we are offering high quality thick linen most suitable to be worn underneath your armor. 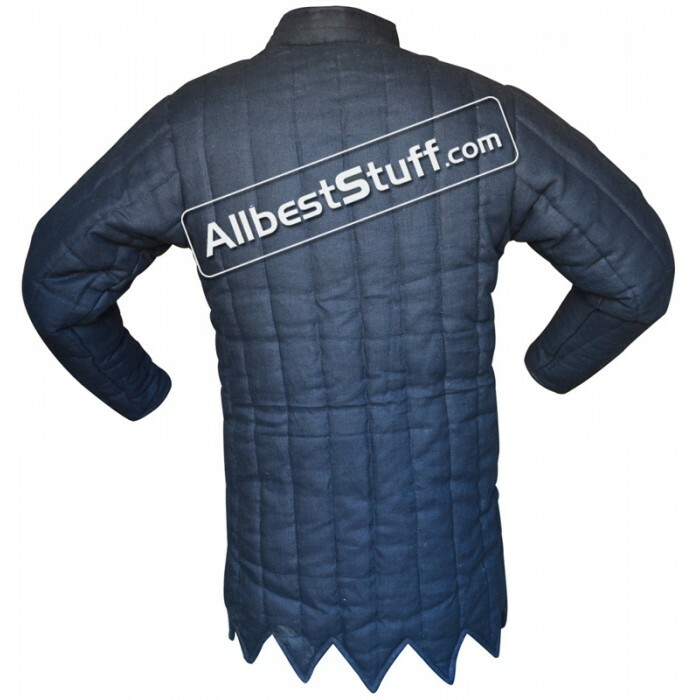 Padded with layers of 100% cotton batting to absorb shock. 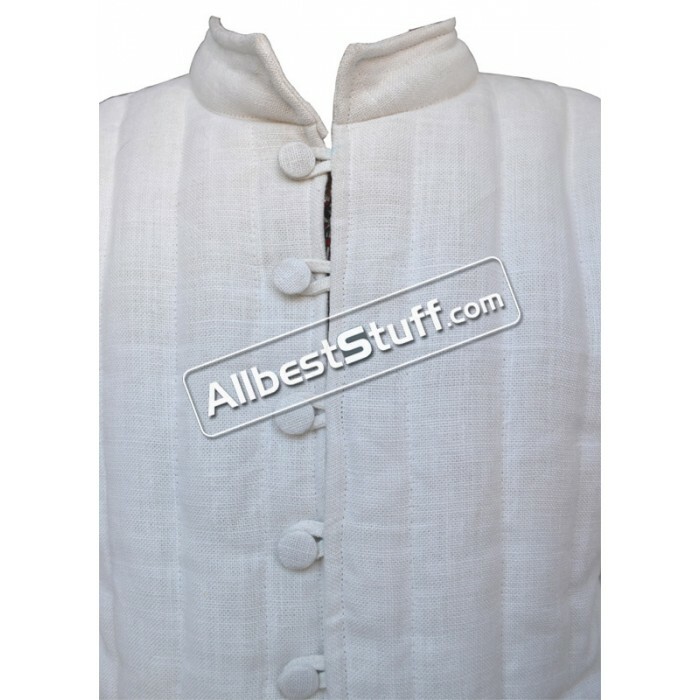 We have created collar for neck comfort and the button loop are strong stitched linen. 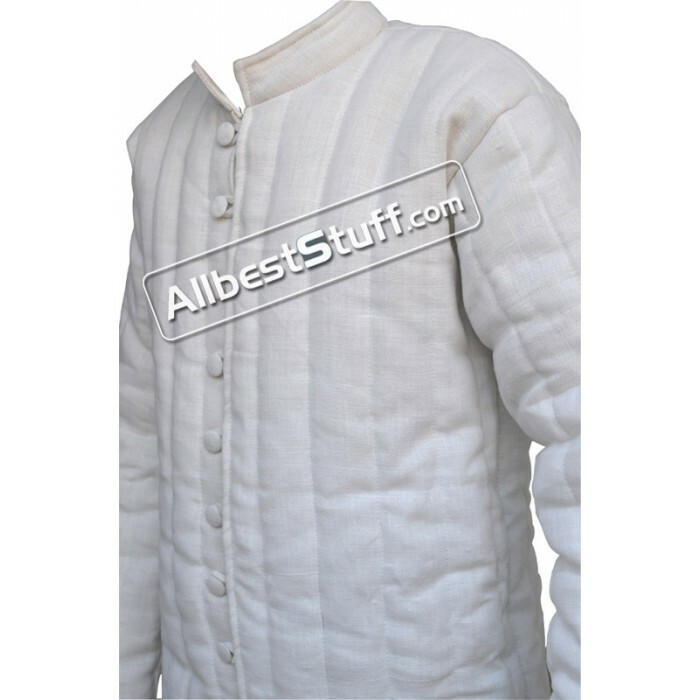 Full Sleeves with standard length of 32-33 inches from shoulder representing medieval cut design at the bottom. 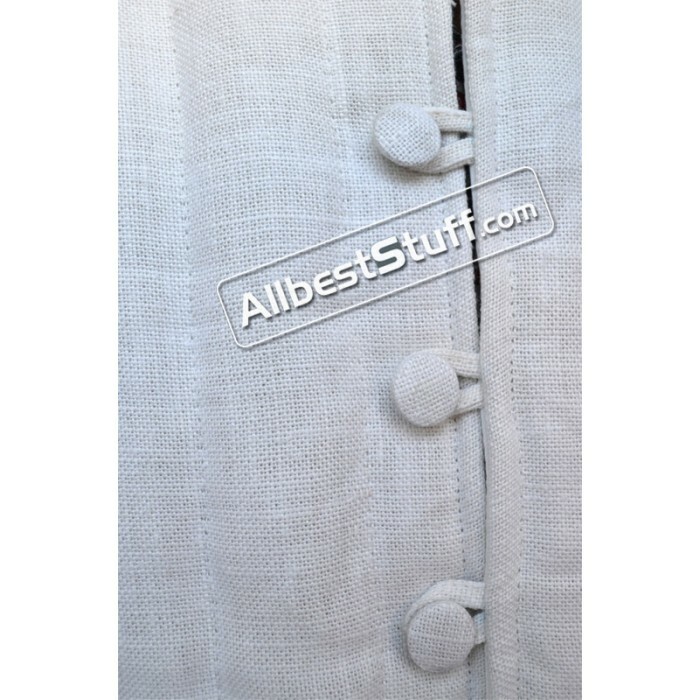 In case you have an additional customization requirement we can do it for a minimal additional cost be it sleeve length OR if you are looking for a longer length with back slit just send a message and we will be happy to offer a price.